Maybe you may have heard stories about human marrying to a doll or men tying a knot with virtual wives. Love really is a crazy thing if you start reading the love story of a Japanese man and a cockroach. 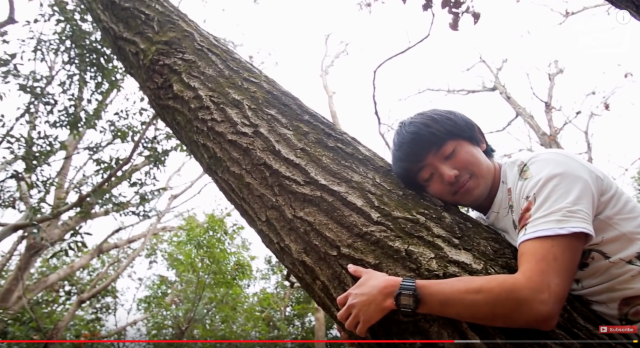 This 25-year-old Japanese man Yuta Shinohara has always loved nature and started eating insects since he was young. He even promoting eating insects, however his fondness for insects extends to even more bizarre kind of romantic feelings. 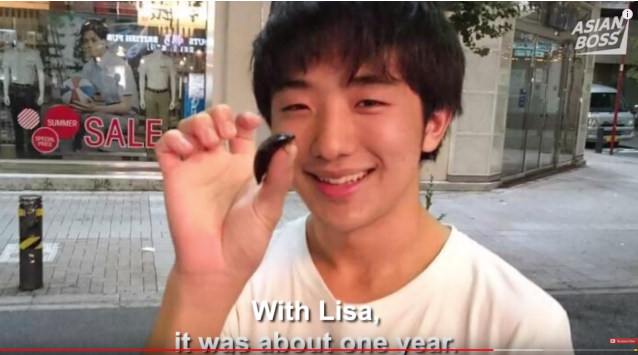 It's a weird story as you think right now, but the entomophagist revealed in a video interview with Asian Boss, shows he has a passion for all insects. He organizes events in Japan with dishes that include a bug cocktail, insects pastries, ramen with crickets and mealworms. At first he was shy to share his love of bugs with anyone. He took courage and been able to speaks about his love of bugs after the United Nations' Food and Agriculture Organisation released a report promoting the benefits of eating insects. 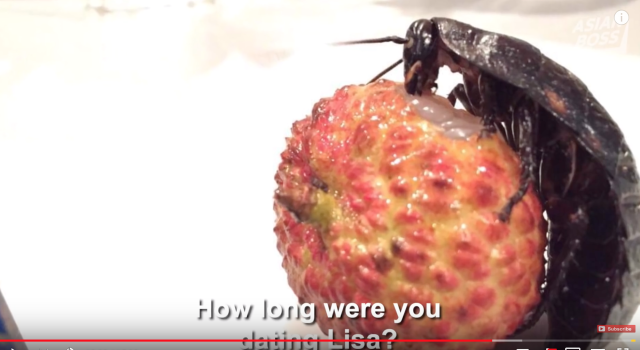 At one point he revealed that he "dated" a cockroach for a year which he called Lisa - a farm raised which he bought from Africa. The love was "platonic," without any sexual relations between them. However, he became so attached to Liza as if they were communicating and did imagine having s*x with her. Due to Liza's short life span, Shinohara says he reverently ate her so that she will lived on his body. As an entomophagist, Shinohara is making a name for himself as the creator of a delicious cricket ramen, which he made for 7,000 diners so far, using 100 crickets in every bowl. When he's not in the kitchen, you can see him out in nature and whenever he sleeps on his favorite tree, he feels "heaven".